expanded to include Friday evening! Hosted by Leah and Tanya, this has become one of Alberta’s BEST and highly anticipated markets in Alberta. 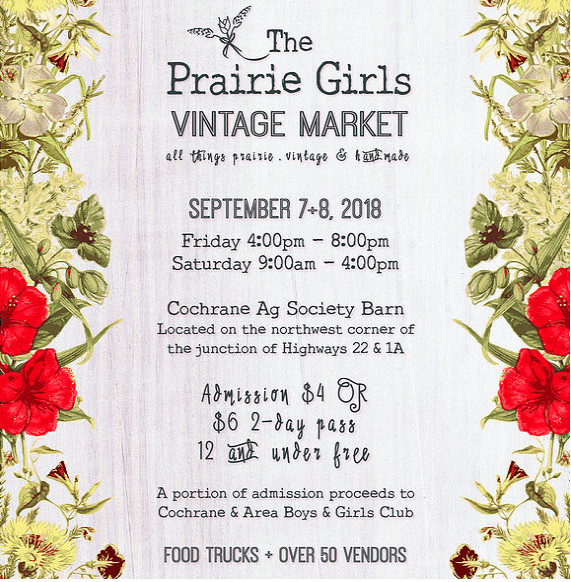 You’ll be thrilled with the selection of 50+ splendidly amazing vendors, talents, gorgeous booths, vintage finds, antiques, homemade goods, and friendly fun! The vibe is exciting and I’ll be busy getting ready with the best of my efforts to showcase eye-catching vintage and antique finds ready to beautify your home and enhance your space. This market is super busy so come early and be prepared to line up for best selection. Follow these links to keep up with information!